Nearly half of all deaths from heart disease, stroke and diabetes in the United States are associated with diets that skimp on certain foods and nutrients, such as vegetables, and exceed optimal levels of others, like salt, a new study finds. Using available studies and clinical trials, researchers identified 10 dietary factors with the strongest evidence of a protective or harmful association with death due to “cardiometabolic” disease. “It wasn’t just too much ‘bad’ in the American diet; it’s also not enough ‘good,"” said lead author Renata Micha. “Americans are not eating enough fruits, vegetables, nuts/seeds, whole grains, vegetable oils or fish,” she said. The researchers used data from multiple national sources to examine deaths from cardiometabolic diseases — heart disease, stroke and type 2 diabetes — in 2012, and the role that diet may have played. Too much salt in people’s diets was the leading factor, accounting for nearly 10 percent of cardiometabolic deaths, according to the analysis. The study identifies 2,000 milligrams a day, or less than 1 teaspoon of salt, as the optimal amount. While experts don’t agree on how low to go, there is broad consensus that people consume too much salt, Micha noted. Other key factors in cardiometabolic death included low intake of nuts and seeds, seafood omega-3 fats, vegetables, fruits and whole grains, and high intake of processed meats (such as cold cuts) and sugar-sweetened beverages. “Optimal” intake of foods and nutrients was based on levels associated with lower disease risk in studies and clinical trials. Micha cautioned that these levels are not conclusive. Optimal intake “could be modestly lower or higher,” she explained. The take-home message: “Eat more of the good and less of the bad,” Micha said. Vegetable intake, for example, was considered optimal at four servings per day. That would be roughly equivalent to 2 cups of cooked or 4 cups of raw veggies, she said. Fruit intake was deemed optimal at three daily servings: “For example, one apple, one orange and half of an average-size banana,” she continued. 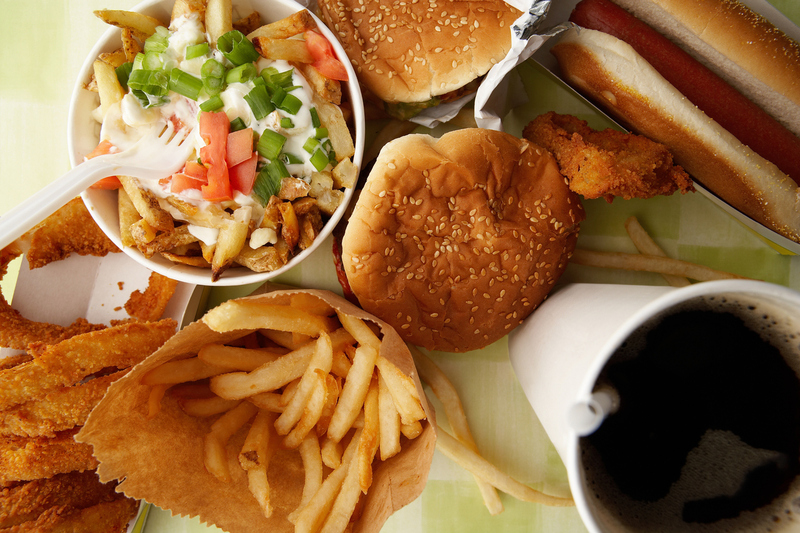 “And eat less salt, processed meats, and sugary-sweetened beverages,” she said. The study also found that poor diet was associated with a larger proportion of deaths at younger versus older ages, among people with lower versus higher levels of education, and among minorities versus whites. Dr. Ashkan Afshin is acting assistant professor of global health at the University of Washington’s Institute for Health Metrics and Evaluation. “I commend the current study’s authors for exploring sociodemographic factors, like ethnicity and education, and their role in the relationship of diet with cardiometabolic disease,” said Afshin, who was not involved in the study. “This is an area that deserves more attention so that we may fully understand the connection between diet and health,” he said. The study doesn’t prove that improving your diet reduces risk of death from heart disease, stroke and diabetes, but suggests that dietary changes may have an impact. “It is important to know which dietary habits affect health the most so that people can make healthy changes in how they eat and how they feed their families,” Afshin said. According to Noel Mueller and Dr. Lawrence Appel, the results may be biased by the number of dietary factors included, the interaction of dietary factors and the authors’ “strong assumption” that evidence from observational studies implies a cause-and-effect relationship.